On Sunday, April 13, 2014, the 17th episode of “Once Upon a Time” will air at 8 p.m. ET. This episode is called The Jolly Roger. The Jolly Roger: Ariel finally makes it back to Storybrooke. She searches for Hook because she is in desperate need of his help. She is searching for her true love, Price Eric. He never returned to town when the new curse was activated. Emma and Regina discus magic. They know the only way to beat Zelena is with their powers. However, Emma does not fully understand how to control her own magic yet. Emma finally agrees to work with Regina who can teach her how to use her powers to defeat Zelena. Mary Margaret and David spend some time with Henry. Henry thinks Mary Margaret and David are boring. They are determined to show him they are just as much fun as Hook. Back in Fairy Tale Land during the past year, Ariel is mad and confronts Hook. It was over her missing Price Eric. She assumed that he was kidnapped and possibly murdered by Hook, himself. 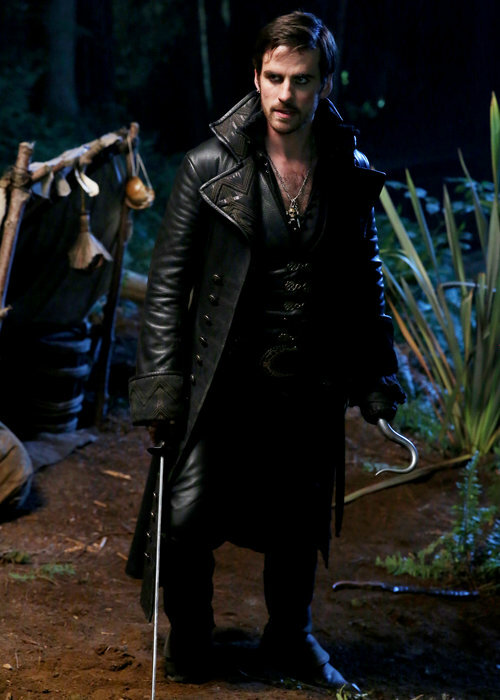 Hook then throws her a curve ball by telling her that the Jolly Roger was stolen. In fact, he thinks his ship was stolen and Eric is a prisoner by the thief. Ariel, not realizing it, provides Hook with a clue as to who the thief could be. Ariel and Hook search for his ship. Guest starring are Beverley Elliott as Granny, Rebecca Mader as Zelena, Christopher Gauthier as Smee, JoAnna Garcia Swisher as Ariel, Gil McKinney as Prince Eric, Charles Mesure as Black Beard, JC Williams as lead guard and Jessa Danielson as wench. Next Next post: Ginny Goodwin and Josh Dallas Got Married!